The Public Health Agency of Canada (PHAC)(2007) has set minimum standards of hygiene to provide an environment where the spread of communicable disease is reduced to a minimum. The minimum sleeping area per person is 3.5 square metres (1.5 metres x 2.5 metres) or 40 square feet (5 feet x 8 feet) when possible. When reviewing allocation space for sleeping, a distance of 0.75 metres (2.5 feet) between beds, bunks or sleeping bags should be maintained. Such spacing has been shown to considerably reduce the spread of respiratory infections. When there is pressure on the use of space, recourse may have to be head-to-tailing of beds. 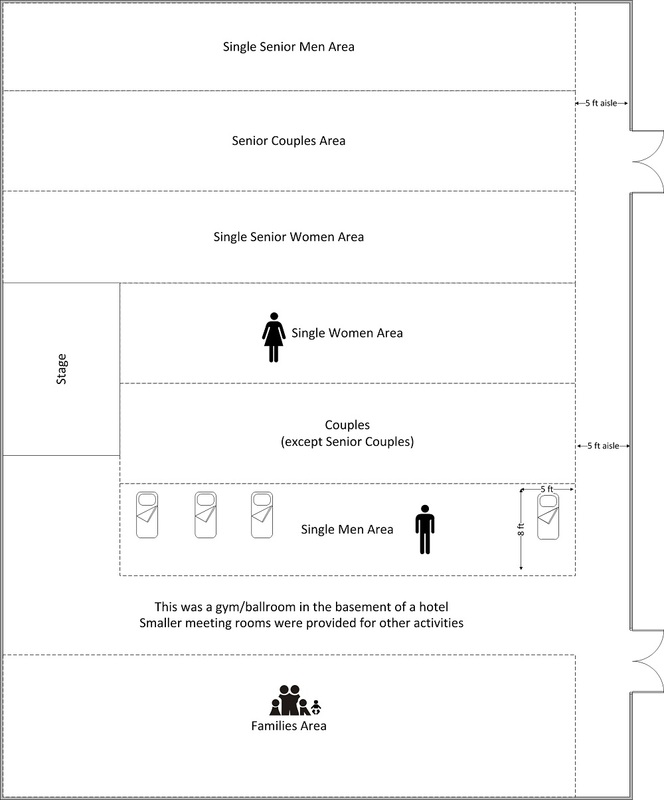 For GL facilities that can accommodate large sleeping areas, the sleeping areas can be separated into sections. 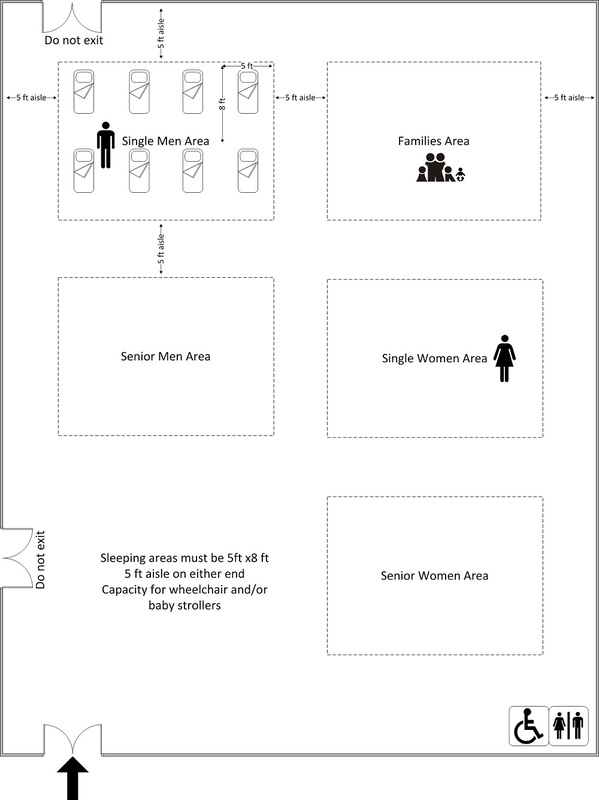 The two figures below show examples of a large sleeping area set up; the first one was adapted from the North Shore Emergency Management Office ESS Group Lodging Plan (2009) and the second is an example of a large sleeping area set up, which was used during the 2003 Kamloops fires.